The University of Banja Luka (UBL), established in 1975, is the second largest in BiH, with more than 17,000 students. 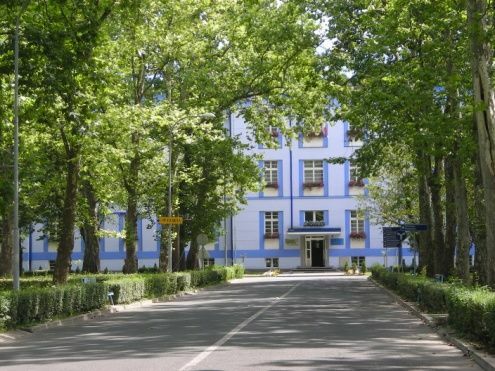 It consists of 16 faculties: Academy of Arts, Architecture, Economics, Electrical Engineering, Mechanical Engineering, Medicine, Agriculture, Law, Natural Sciences and Mathematics, Technology, Sport, Philosophy, Philology, Forestry, Political Sciences, and Mine Engineering and one associate member: College of internal affairs. UBL has 58 licensed study programs of the first cycle, 48 of the second cycle and two of the third cycle and is fully commuted to the idea of a borderless area for research and knowledge exchange in Europe. Besides of an excellent location and own facilities, UBL has other competitive capabilities, including about 1,050 research active staff for teaching and research excellence and 450 administrative staff members. The Banja Luka University staff has been involved in 89 Tempus projects, several FP6 projects and FP7 projects. The other international projects were financed by: the European Commission, the Council of Europe, United Nations, UNESCO/CEPES, the World Bank, governments of several states. The University of Banja Luka is bound by more than 130 bilateral agreements on cooperation with public and private universities from all over the world.